"I prefer it on my wife, but now and then I sneak a little spray"
One of the things that fascinate me about the world of perfume is the mix of conservatism and avant-garde. In many of the most successful creations there is a balance of the two. The future and the past keep making love to each other in new ways, some conventional, some unpredictable. But something that surprises me in a less positive way is the still dominating obsession with pour home or pour femme. Not so much from the new brands. They are creating a world of fragrances liberated from lazy descriptions of soft women and strong men. But the big global perfume brands of the cosmetic industry, the celebrity scents and the fashion houses… You all surprise me with your boxes. Also bore me a little bit. If you really want to make a fragrance for men or a fragrance for women, by all means… But the illusion that this is the way it h-a-s to be, are we not past that? It feels a bit like a system adapted for sales, shelves, photo shoots, logistics, excel sheets, easy life. During the course of last week I thought about this on several occasions. One was in a dialogue with Clayton who has created the superb blog What Men Should Smell Like. I read his eloquent thoughts on Pomegranate Noir by Jo Malone, which happens to be a fragrance that I also own. Clayton’s perspective on the fragrance was based on regarding it as a masculine fragrance whereas I thought it was unisex when I bought it – but then when I researched I found the description “This sophisticated scent was inspired by a red silk dress” on Jo Malones web. This surprised me but also sort of disappointed me because it made me hesitate when I thought of recommending or lending it to male friends. Then I was reading interviews with Byredo’s Ben Gorham. In his opinion both fragrances and ingredients are unnecessarily labeled as male or female. As an example he mentions roses, which are associated with feminine fragrances in some cultures but with masculine in others. There are a lot of interesting thoughts on this in interviews with Ben. You’ll experience them if you try this. If you read my post from my adventure in the perfume lab you might remember that I had this impression that I was creating a male fragrance. After that moment I altered a few details but the base was the same. I am sure the result could be great on a man’s skin. The point I want to make is this. I believe that the gender label is often an obstacle for people to find their right fragrance and it’s just unnecessarily limiting. I know several women who prefer so-called male fragrances and they all describe often being met with suspicion when shopping for perfume. If you go to the major perfume review sites you will also generally find the fragrances divided into feminine and masculine. Perfume has the potential of being a so much more complex, creative and exciting adventure than this. I could go on about this the entire evening and then some. It is not unlikely that I will return to this topic. 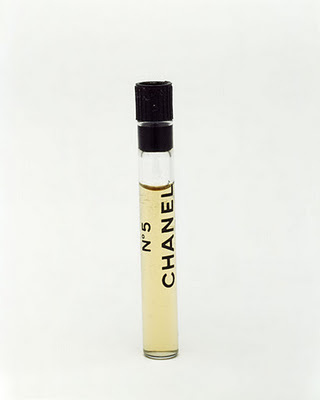 Tonight however I end with the obvious Google search giving this topic: “men who wear Chanel no 5”. It led me to this great thread (where the title of this post also comes from). Thank you Chanel-expert Lars for the photo.